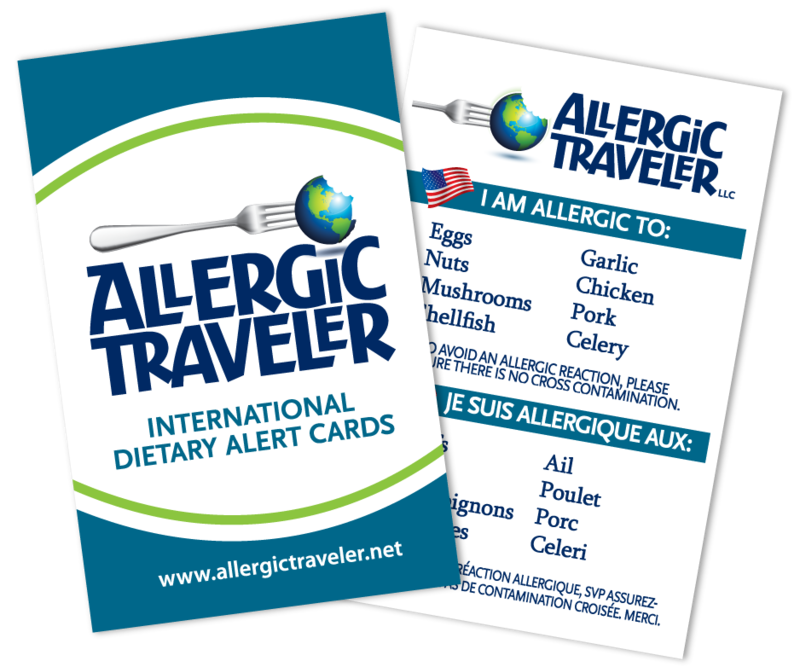 Whenever we go to vendor shows or fundraising events, that we are sponsoring, we are frequently asked the motivation behind Allergic Traveler. The concept, like many business concepts came out of necessity. My husband and I were traveling to Europe on a Mediterranean cruise, and I came to realize that I did not speak all the languages of the many ports. I have multiple allergies that would need to be communicated to waiters and chefs throughout our trip. Some may view this as a hindrance, or even an obstacle but I was raised to “pack my bags and go.” Nothing would stop me from seeing the world, not even my allergies. My parents taught me this mantra, and I still live by it today. When I realized I would not be able to communicate my allergies in these foreign countries, I became resourceful. I reached out to many to see if anyone could help with translations. I do not trust translation tools. There are multiple examples where big name brands, like Pepsi or Electrolux got it wrong. I trust people, nothing else! After all it’s the people that have the allergies not the computers! Systems cannot always tell the difference between nuts and peanuts for instance, whereas humans can. Once I put together my “homemade” cards, I realized that there was a need for this. People kept asking me to make them a set with their allergies. At this infancy stage, the cards were rough to say the least. The idea was that it was practical, not beautiful. Upon further investigation, there was a need to invest in the appearance of these cards. My clients were asking for something they would be proud to show, not embarrassed. The look was very important, as many of these people were business executives or college students that wanted to leave an impression. The idea was that it had to be dependable and attractive. No matter that it was going to be an investment, because after all we are talking about people’s lives. Our clients were not interested in a disposable version, as most wanted their allergies to be taken seriously and they wanted something they could use over and over. So, we decided that we would invest in the look and the people. And we are glad we did! Our continued success is because of people like you. We understand that each allergy is unique to you, and that your card should be as well. Thank you for your support and believing in us!